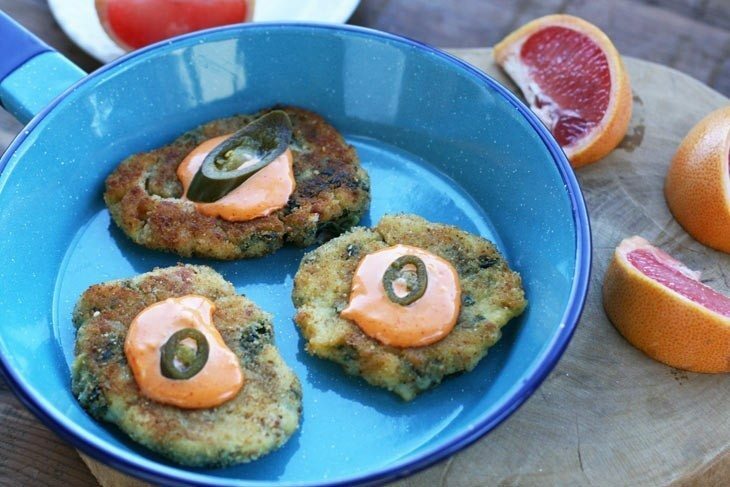 If you have leftover colcannon, make these fried colcannon cakes, served with spicy mayo. Our contributor Haley is always full of fantastic, cheap recipes and deliciousness! We are always amazed at the dishes she can pull off with such little cash. 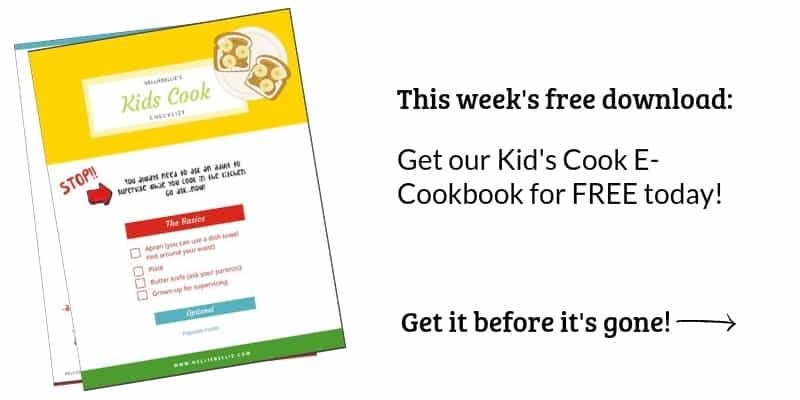 Head over to her site Cheap Recipe Blog, check it out, see all her great ideas, and subscribe to get recipes in your inbox! You can also follow her on Facebook where she posts her latest and greatest. 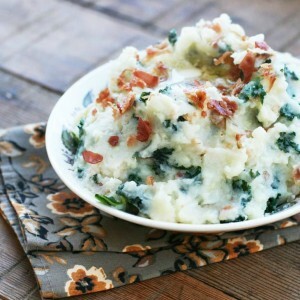 Colcannon is a traditional Irish recipe, commonly served on St. Patrick’s Day. My American assessment of the recipe is that colcannon is just fancy mashed potatoes, with sauteed greens and other ingredients added. Either way, it’s pretty delicious. And shouldn’t be limited to St. Patrick’s Day. In addition to being tasty, this Irish side dish is also quite cheap. Russet potatoes are the base of the dish, and just a few other ingredients are added. 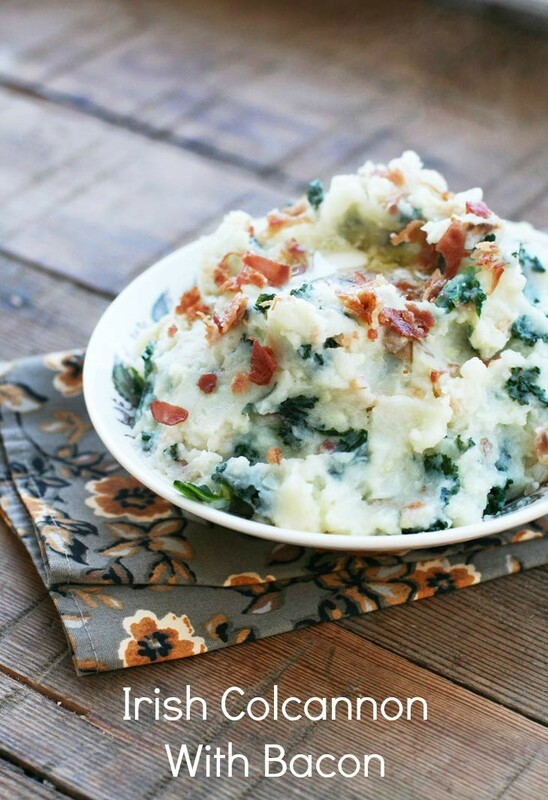 There are countless variations of colcannon, but I made mine with kale and a lot of garlic. 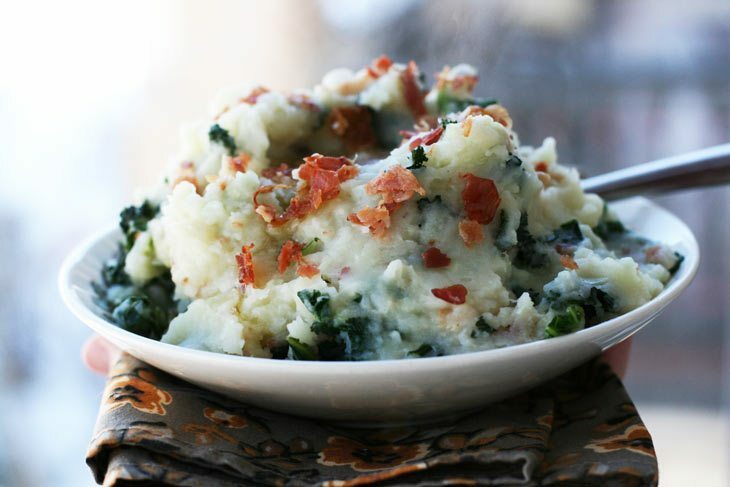 Serve colcannon with traditional Irish corned beef or sausage. And don’t be afraid to incorporate this delicious dish into your year-round cooking. It’s too good to be enjoyed just once a year! Place colcannon in a mixing bowl. Add flour, egg, and salt and mix well. Heat a bit of olive oil in a frying pan over medium-high heat. Take 1/4 cup of the colcannon mixture and form into a patty. Coat the patty with breadcrumbs. Fry colcannon patties for 3 to 4 minutes on each side, until golden brown. Remove from frying pan and place on a paper towel-lined plate to absorb excess oil. Continue until all patties are fried. Mix mayonnaise and sriracha sauce together. Place a dollop of sauce on each colcannon cake, and top with a pickled jalapeño. Serve hot. Don’t those both look just fabulous??? We are huge fans of potatoes, so any recipe that finds one more way to make use of them is A-OKAY in our book! Thanks, Haley for sharing another great idea for an inexpensive and delicious meal.